So lets talk back stitches! I love to do stitch them, they add the details to your work. 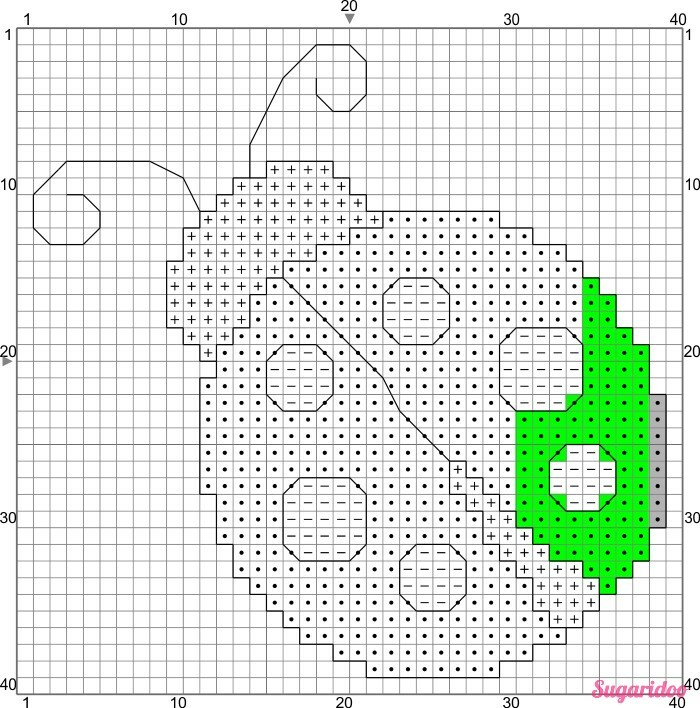 In the ladybug pattern all back stitches are done with a single black thread (DMC 300). 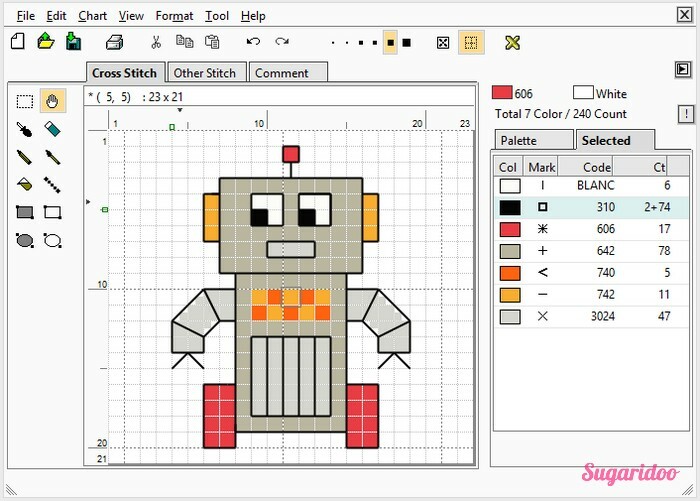 In the schematic below you will see how some stitches are made. 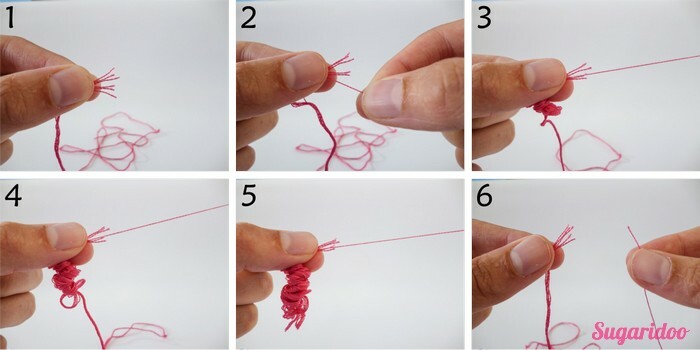 You pull your thread up at the end of the first stitch you want to make. 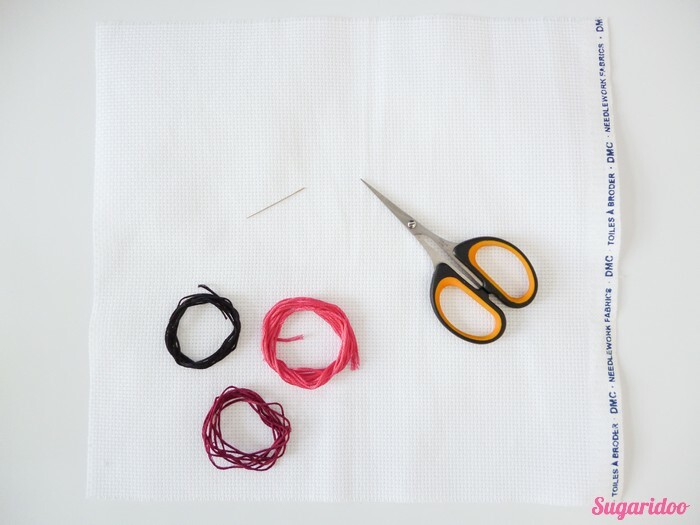 Than you go back to the beginning of the stitch and go to the end of your second stitch. So you kinda work backwards ;) Probably the pictures will be more clear than my explanation. 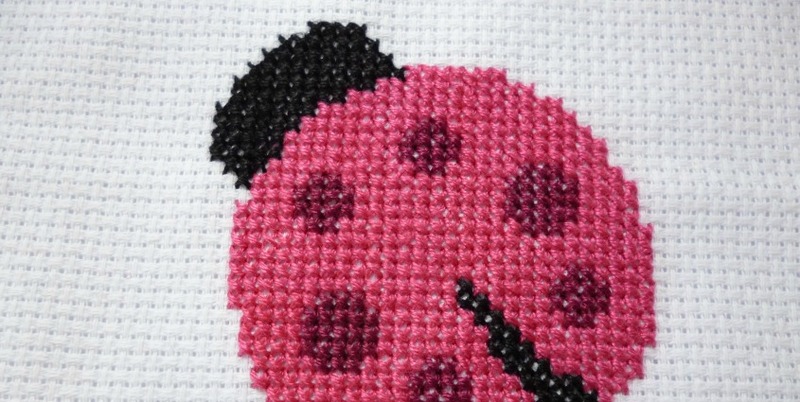 I started stitching around the pink body of the ladybug. 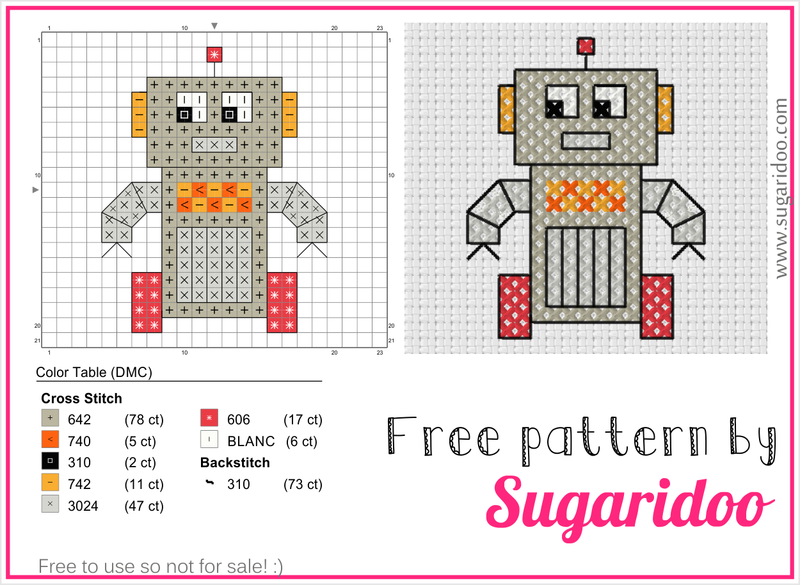 In this pattern all outlines will be stitched. We start by stitching some straight line (1-8). At the end of the straight part we will take a turn, so at the back of your fabric you will see a diagonal stitch. But as you can see, on the front we have only horizontal and vertical stitches (11-12). 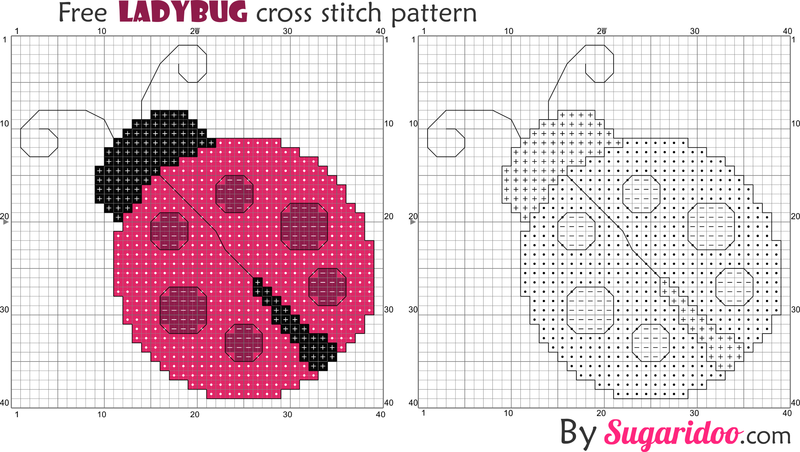 After you’ve gone around the body you can stitch around the dots and also around the black areas. Do you see how wobbly the stitches look at the back :) Such a difference with the front! When all outlining is done, we have to stitch the feelers. Just simple back stitch them from the head toward the end of the feeler (13). Then gently wave your needle through the stitches on the back, back to the head (14). When you cross the empty area of the fabric with you black thread on the back, it could show a bit on the front. Thank you so much for reading this mini series, I hope you’ve enjoyed it! We will start by stitching the high lighted area in the pattern below. 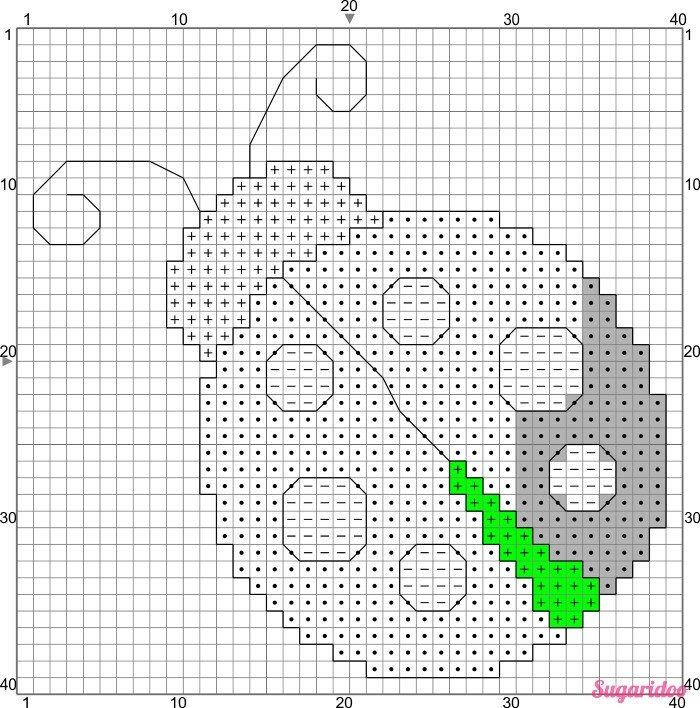 (The green area is what we will stitch, the grey area is already done.) 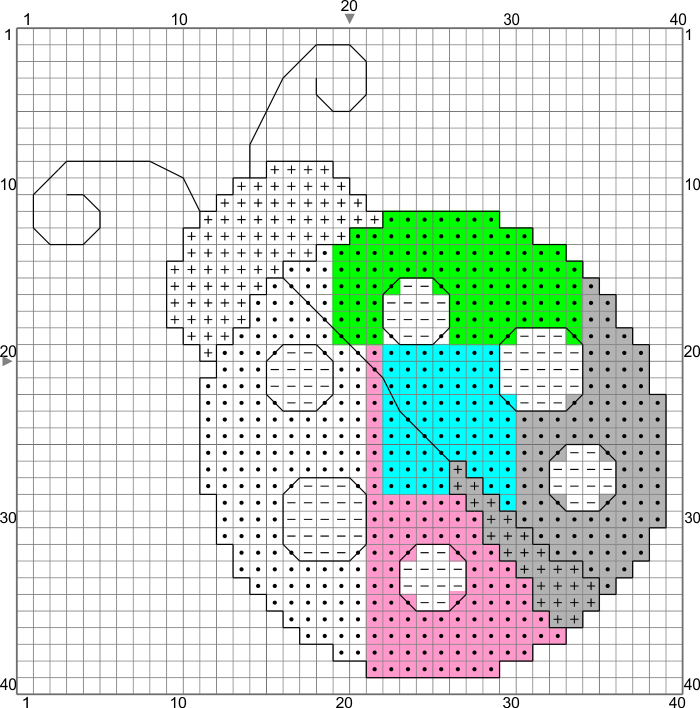 All the squares marked with a dot will be stitched in cranberry pink (DMC 601). Basically we will stitch in columns from right to left until our thread is finished. 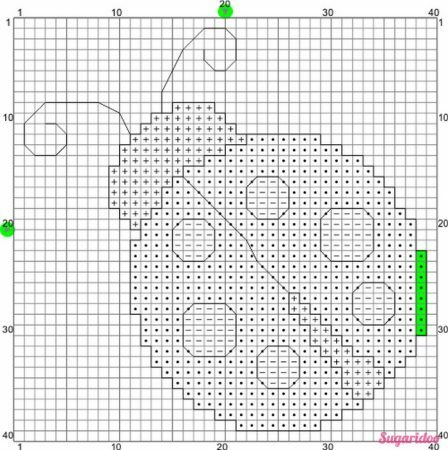 Usually you will try to make columns as long as possible, but the dots of the ladybug are a bit in our way, so we will have to work around them. When your thread is finished before mine in the pictures, no problem. 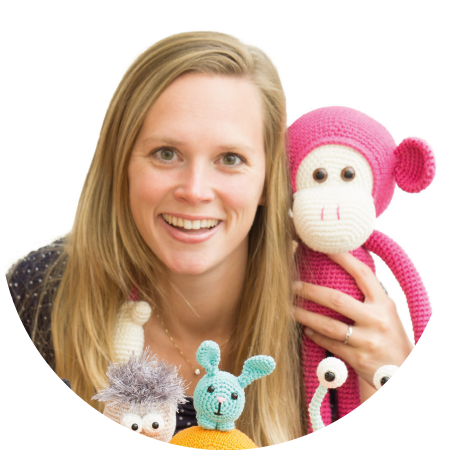 Just bring you thread to the back of the fabric and fasten of as we learned at the end of Part 2 of this series. 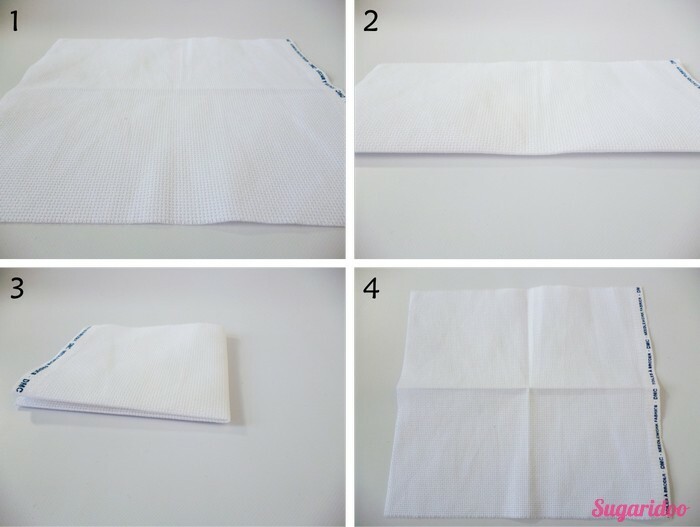 In pictures (13-15) you’ll find how to start with a new thread. We finished our first row at the left bottom corner of the first cross stitch. This is not where we want to start with our second row. Therefor we will go two squares down and on square left via the back of our fabric (1). From here we will make twelve cross stitches (2-3). When you finish your last stitch, look in the pattern where your next row will start. You can finish you stitch and go to your next starting point in one move (3). 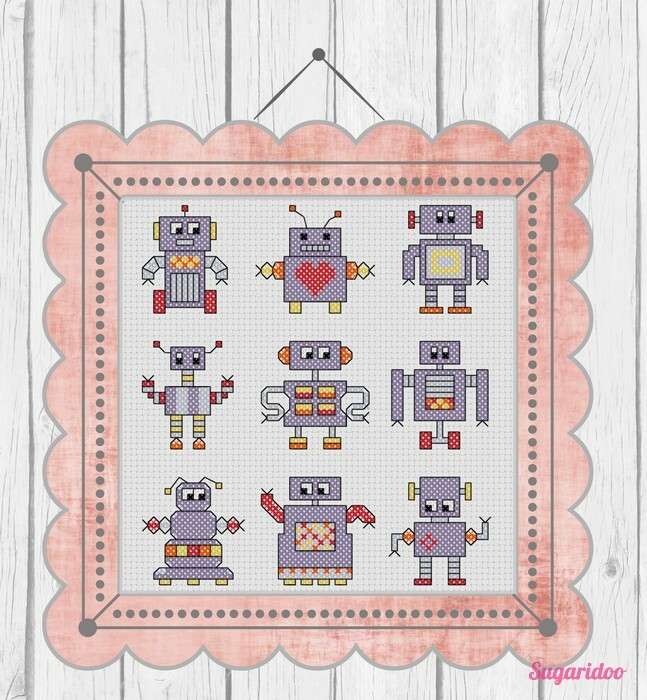 Make the third row of 14 cross stitches (4). Now the pattern tells us to make a row that consists of cranberry pink and dark mauve cross stitches. 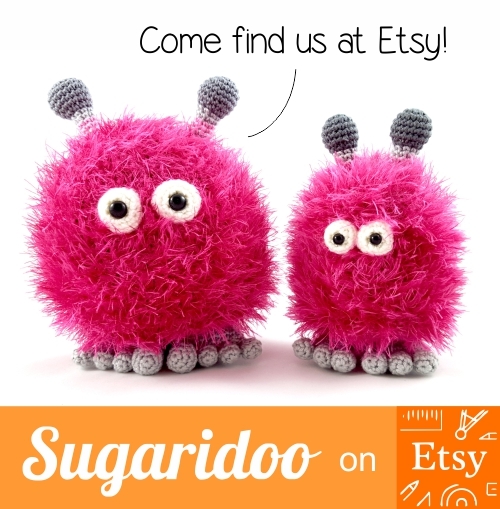 We will first only make the cranberry pink stitches. So we skip the dark pink parts, in this row just skip two squares (5-7). And we will also skip them on our way down (8-9). The next row has 4 dark pink stitches, we will skip these as we did in the row before (10-11). I’m no a fan of skipping to much squares, this leaves loose threads at the back of your work (you can see the larges crosses at the back). So when I can I try to work around areas that are stitched in a different colour. 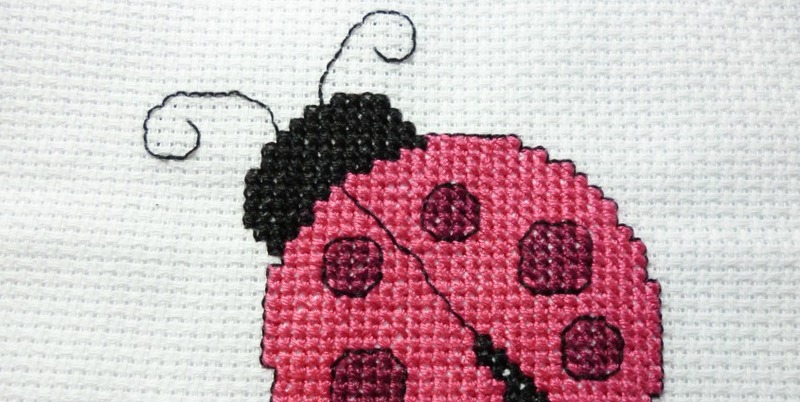 If you still have thread left cross stitch the next two rows, I only stitched them up to the second dot of the ladybug (12). There is no golden rule on how to proceed from here. 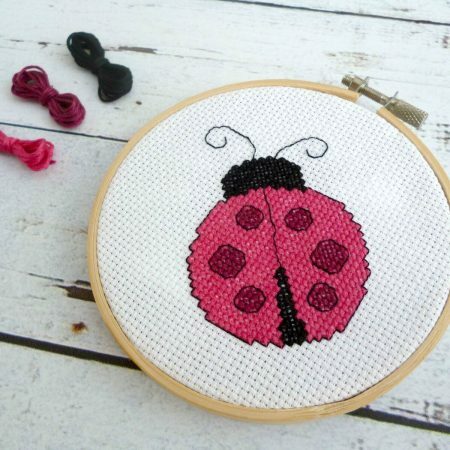 You can first stitch everything in Pink, or stitch some of the dots in dark pink. I chose to stitch the black area first, the plusses in the pattern. Doing this gives some guidance on where the pink will go next. So now we have to attach a new thread. Just thread you needle and pull through some stitches at the back of your work (13-15). I never make knots. 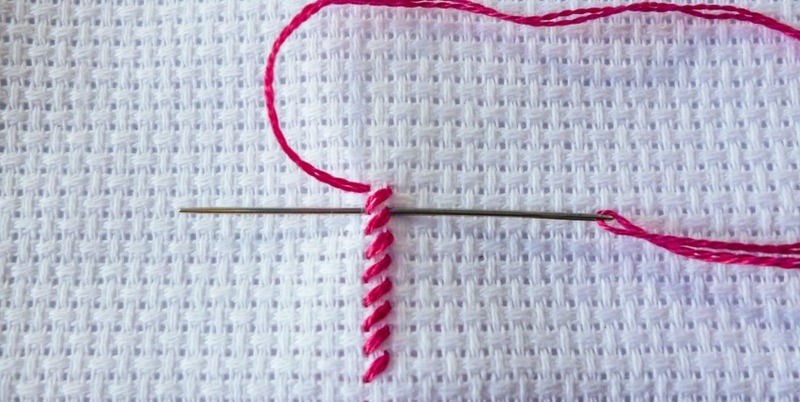 Make sure that your thread ends at the approximate location where you want to make your first stitch (16). Now just stitch the black area (17) and finish of when your done (18). Did you see how I not finished my last row in (21)? This is not a problem. My thread was finished half way along my row so I just fastened off and attached a new thread. ow continue to finish all the cranberry pink areas in the pattern (22-23). After the cranberry pink I moved to the dots in dark pink (24). 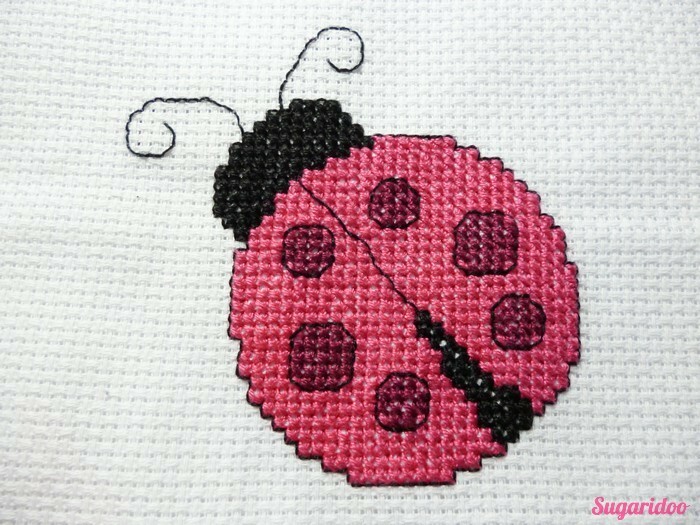 I stitched one dot and moved my thread through the stitches on the back to the next dot. That way you don’t have to fasten off after each dot and you won’t end up with long loops of thread on the back. After the dots we only need to do the head in black (25). I’m sure you’ve got the hang of it by now! That is starting to look like a ladybug isn’t it? Lovely! I hope you’re enjoying cross stitching. Tomorrow we will have the last part of our mini series where we will discuss the back stitches. Hope to see you there!